The first episode of the Serial podcast’s new season is a dramatic illustration of how much you can learn from a single case. The case involves a young white woman who was prosecuted for her participation in a bar fight. 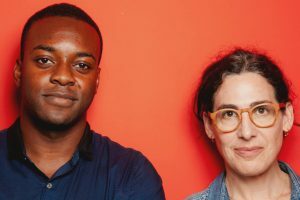 The Serial team are incredible storytellers, so this podcast is not “just” educational, but it is completely engrossing, making you want to know every detail, especially how it turns out. As tempting as it would be to analyze the details of the case, I don’t want to spoil it for you as I hope that you – and your students and colleagues – will want to listen to it asap. I will, however, generally describe the kinds of things you learn in this episode. To understand this case properly, you need to understand the context, which the program provides. Among other things, it describes the physical and social layout of the Justice Center in Cleveland, racial patterns among the various types of actors in the scene, characteristics of defendants in the criminal justice system, relationships between defense lawyers and different categories of clients, relationships between prosecutors and defense attorneys, factors in prosecutors’ and judges’ decisions, and the immense pressure on everyone to resolve cases through plea bargains. Of course, the main focus of this episode is the case itself and you hear a lot of evidence from just about every possible source. There was a surveillance video of the incident, which the podcast describes. It also includes excerpts of audio from police bodycams, as well as interviews of the arresting officer and witnesses of the fight. The journalists also interviewed the defendant and especially her lawyer, a 41-year veteran defense attorney, and the prosecutor. One of the most useful lessons in this episode comes from the detailed description of the tangible and intangible costs of being a defendant in the criminal justice system. Lawyers, law professors, and law students also learn from real-life cases – generally appellate cases that are radically de-contextualized. This is especially true in traditional law school casebooks focused on legal doctrine, where facts are omitted unless necessary to illustrate a legal point. Even full appellate reports are limited to legally-relevant facts, and the selection and portrayal of facts obviously is biased to be consistent with the courts’ decisions. While using appellate case decisions may (or may not) be the best way to develop and disseminate legal doctrine, it’s an absolutely lousy way to learn what really happened in those cases and how the legal system actually works. There are much better ways to learn about what really happens in legal cases. Empirical researchers and documentary journalists like the Serial team provide a much richer and more balanced understanding. There are a lot of similarities between empirical researchers who rely on qualitative data and documentary journalists. Both groups follow certain (though different) procedures for collecting and analyzing information to compose the most accurate possible portrayal of reality. A major difference is the way they present their findings, as researchers tend to write dry reports for other researchers whereas journalists produce stories for the general public that are designed to be as compelling as possible. The Serial team is an outstanding collection of journalists. Here’s a photo of host and executive producer Sarah Koenig and Emmanuel Dzotsi, who did a lot of the reporting. 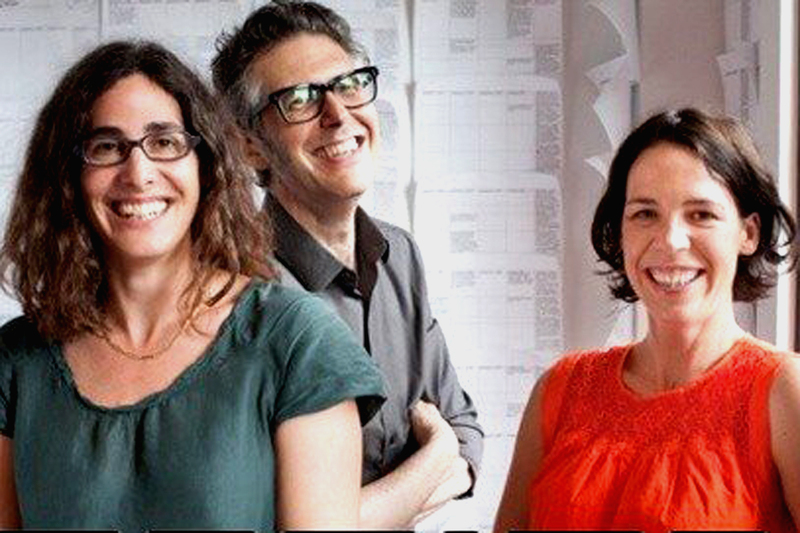 And here’s a shot of Sarah Koenig, This American Life guru Ira Glass, and senior producer Julie Snyder. The Serial team spent a year studying the criminal courts in Cleveland and are strategically planning to provide as accurate and compelling analysis as they can. This first episode zoomed in on a single case and the second episode zoomed out to provide an survey of the approaches of different judges in the court. I have no idea what they plan to do with the rest of the season. But I will wait with bated breath (whatever that is). Several years ago, I conducted a study in which I interviewed 32 lawyers about the cases they settled most recently. Six of the cases were criminal cases, an area I haven’t studied very much. Of course, I didn’t learn as much about criminal justice as the Serial team did. But I learned a lot that I wouldn’t have known – and what I learned was very consistent with what Serial described. One of the purposes in developing the Stone Soup Project was to encourage faculty to conduct their own qualitative research. As part of a mini-course to encourage YOU to do some interviews, I described projects that I have done and suggested that other colleagues could do things like this too. So consider conducting interviews about real cases for your next publications. It’s fun, you will learn some amazing things, and you can truly create new knowledge. As a second-year law student, I recently emerged out of a year of reading cases that all so nicely wrapped up with a bow in just under 10 pages. Every fact has relevance and every sentence has a purpose. So, being confronted with the reality of the practice, the messy and tangle-filled web of the practice of law, it was daunting. But this piece serves as an incredible reminder that there is much to be learned in the mess and chaos of stories. A reminder of the humanity behind the case. Life is not a straight line, and neither are the cases clients present. Every fact a client presents may not have legal significance, but it may have significance to them, and that is important too. Thank you for the reminder to become invested in the whole story. Thank you for this lovely reminder to find the beauty in the mess and in learning. Oh and to add this podcast back to my playlist! I completely agree with Meaghan here. So much of law school is reading cases that have all the relevant information clearly laid out with very little analysis necessary to determine why the information may be important. All 3 seasons of Serial do an excellent job of laying out how complex an actual case can be. Mr. Lande makes a great point that a big part of building a case for a client is being able to suss out the relevant information from the information that may appear helpful on the surface but in fact offers no real legal benefit. I agree with the comments above. In law school you only get the relevant facts that are needed to show how a holding was achieved. Serial does a great job of showing just how much information is actually used/needed in a case. Sometimes all a person needs and/or wants is to tell their whole story! We don’t get that in law school. If cases we read in law school started to give a better in-depth view of the facts, then maybe students could relate and/or remember the cases better due to being interested by the specific facts. I find myself all too often reading a case and not remembering a single aspect of it because of how boring it was. However, even listening to season one four years ago, I still could recite what happened and what came of it. This is a good reminder to seek the whole story and not jump to conclusions based on a handful of facts that are given to you! Although I have yet to listen to the next two seasons, I am sure I will be just as captivated as I was in season one! This podcast and Mr. Lande’s post acts as a great reminder for us to consider everything that a case has to offer. I can easily remember feeling lost the first time that the attorney I clerked for set a file the size of 3 case books combined, on my desk and asked me to find the most relevant facts and organize them in a logical way. Although challenging, it was a great illustration of what cases outside of the books are like and it provided me with an opportunity to practice this high level of consideration we must take in practice. As a student currently interning in a criminal law setting, and pursuing a career in criminal defense work, Dr. Lande’s article is extremely relevant to the experiences I witness on a daily basis. In particular, Dr. Lande notes that “most folks in our field focus on civil cases, not criminal cases, and many of us are justifiably concerned about excessive pressure in dispute resolution processes.” The civil dispute resolution processes he refers to are the type that we are exposed to as law students. In the classroom, we learn about the different dispute resolution processes and how they relate to things like contract law, employment law, corporate law, etc. ; however, in the criminal world, these dispute resolution processes are also used on a daily basis. The difference is that in the criminal context, the “excessive pressures” attorneys face are their client’s liberties. Dr. Lande’s article discusses the ways in which plea bargains are used in the criminal justice system. I feel fortunate that I have the opportunity to witness the types of negotiations and dispute resolution skills that prosecutors and defense attorneys use on a daily basis. While these dispute resolution skill are just as important in the criminal context as they are in the civil context, they are not discussed or focused on as much in the classroom setting. Dr. Lande’s article sheds light on the fact that strong negotiation and dispute resolution skills are necessary in the criminal justice system in plea bargain settings in order to obtain the best deal for your client. In his article, Dr. Lande points out some of the more unfortunate aspects of plea bargains, quoting a defense attorney who notes: “‘ innocence is a misdemeanor. … What that means is, if they don’t have the evidence against you, they’ll let you plead out to a misdemeanor. If they can’t prove you’re guilty, they’ll give you a misdemeanor. '” However, this same sentiment can be used to illustrate just how vital dispute resolution skills are when the converse is true. When there is evidence of guilt in a case, strong negotiation skills on behalf of the defense attorney, and the prosecutor, are vital in order to negotiate the best possible outcome for the client. Dr. Lande’s article is important as it points out that the Serial podcast is doing great work at bringing aspects of criminal cases, including dispute resolution, into the public eye. As he points out, traditional law school casebooks focused on legal doctrine are not the best way to learn how the legal system actually works with respect to criminal cases. For lawyers, law students, and the public at large, real-life experiences or podcasts like Serial are a far better way to learn about the legal processes–like the full set of facts in a case or the dispute resolution processes that have taken place–than in a traditional casebook. I am a big fan of the storytelling from the Serial podcast. When season one came out, I was an undergraduate journalism student and was enthralled by the expert journalism that went in to telling the story of the case. In journalism, you are taught to tell a compelling, detailed narrative and make the audience feel every part of the story. This was hard for me transitioning into law school and reading the casebooks. As mentioned in previous comments, much of the background is removed and only the important details are left. We lose out on the little details that add color to the case and provide important insight into how the case came to be. I feel like the little details are what we forget about as law students. We are focused on the important details and don’t bother thinking about what else that story entails. It is really easy to read a case and think, “wow, it seems easy. If they had just done this, they could have avoided that.” We lose the human element. To us, they’re just the parties of the case and we are focused on finding the issue, rule, holding, and reasoning. We are not thinking about their backstory and what led to them being a party to the case. The Serial podcast is a great reminder to take into consideration all facts and the background. Learning more about the story helps build empathy for the parties and understand what got them to this point. Knowing the details helps us understand the repercussions of every potential outcome. I think channeling our inner investigative journalists will make us better law students and eventually practicing lawyers because it will teach us to empathize with the parties in a case or our clients. Maybe it will help avoid situations as discussed in the original post about accepting a misdemeanor when it can’t be proved a client is guilty. Getting the detail that Sarah Koenig and her investigative team get will help to work a little harder for our clients. I also sincerely agree with the other commenters regarding their thoughts on remembering that the legal world, and life itself, extends beyond the classroom. This is an important lesson that I think is frequently forgotten in the chaos of law school and i would venture to guess in practice as well. Often, when we read cases we lose sight of the matter that these are real events and real people. So many case books and reading notes tend to blur together and that tends to blunt the impact of the events. I definitely agree with Ms. Frawley that law students get caught up and lose track of the little details. I think everyone can agree that law school, again not unlike practice or the real world, pulls us into so many directions that we tend to forget what it is we are doing and why. Like Ms. Frawley mentioned, I have personally found myself thinking things along the lines of “gee this is so straightforward how is it even an issue”. Those moments are where perspective is needed. As important as it is to understand the legal aspects, considering the perspective of the parties involved and practicing empathy like we have discussed in ADR class can help students alter our mindset and gain a better understanding of the matter overall. I am a 3rd year student and I am also an intern for the state public defender. Since I am also an ADR student, I will circle this comment back to one of our topics: negotiation, or the lack thereof. The local DA’s office has policies. FOr several charges, if you are charged with X, the offer is Y. For example, the canned offer is 4-6 months in the House of Corrections for concealing a dangerous weapon without a permit (CCW). This presents two issues I will discuss. First, assistant DA’s are extremely hesitant to deviate from this offer, no matter the facts. As an example, a client was a passenger in a car that was pulled over. He admitted to having a weapon and even promptly showed the officer his CCW permit. But because it turns out his permit was invalid because of a mere technicality, he is looking at 4-6 months. The other issue if someone is charged with a crime involving a gun, they are ineligible for a deferred prosecution agreement. I intentionally did not say “gun crime.” It is understandable if you actually use a gun to commit a crime you do not get a DPA. However, we are talking about cases where a gun was in the house but no one so much as looked at it, much less used it or threatened to use it. We are talking about cases where the person charged was not even aware they were possessing a weapon. These policies have a rationale from the DA’s office. They do not want “person on DPA uses gun in crime” type headlines, which is understandable. However, it is frustrating to represent a client that really did nothing wrong and the ADA’s won’t even discuss moving off the canned offer. This often forces us to trial in cases that shouldn’t have been charged in the first place or should have been handled with a ticket. This causes stress to the client, causes scheduling nightmares for the client, the court, and witnesses, takes us from other cases, takes dozens of citizens through jury selection, and costs taxpayers money. So we have two competing goals… protecting the DPA program and protecting the rights of clients, witnesses, courts, victims, and the community. This is true whether or not the client is DPA eligible when the facts as charged support leniency. This is why I wish the DA’s policy would be relaxed. No one is calling for outright abandonment of that policy, but to give ADAs the ability to change the offer or offer a DPA when the facts warrant it would support justice.